Anyone who has roasted a turkey knows that if you take it from the oven too soon, it will not have cooked through, and if you leave it in too long, it will be dry and tough. For a baby in the womb the same principle applies: timing is key. A gestation that is shorter or longer than full term can sometimes be less than ideal for the infant, and occasionally for the mother. A pregnancy a week short or a week longer than full term can notably affect a child’s health, studies have shown. The traditionally used phrase “term pregnancy” refers to one that lasts from 37 to 42 weeks. But the words have proved confusing and, to some extent, subject to individual interpretation. That anywhere in a five-week period can be deemed “term” has brought widespread misunderstanding among pregnant women and their doctors as to the best time for babies to be born, when there is no compelling reason to deliver the baby sooner or keep it in the womb longer. Alarmed by recent trends to induce labor or schedule cesarean deliveries earlier than 39 weeks gestation for a single fetus, the American College of Obstetricians and Gynecologists and the Society for Maternal-Fetal Medicine last month issued four new definitions of “term” deliveries to clarify matters for women and doctors. ■ Early term: Between 37 weeks, 0 days and 38 weeks, 6 days. ■ Full term: Between 39 weeks, 0 days and 40 weeks, 6 days. ■ Late term: Between 41 weeks, 0 days and 41 weeks, 6 days. ■ Postterm: Forty-two weeks, 0 days and beyond. “This terminology change makes it clear to both patients and doctors that newborn outcomes are not uniform even after 37 weeks,” said Dr. Ecker. 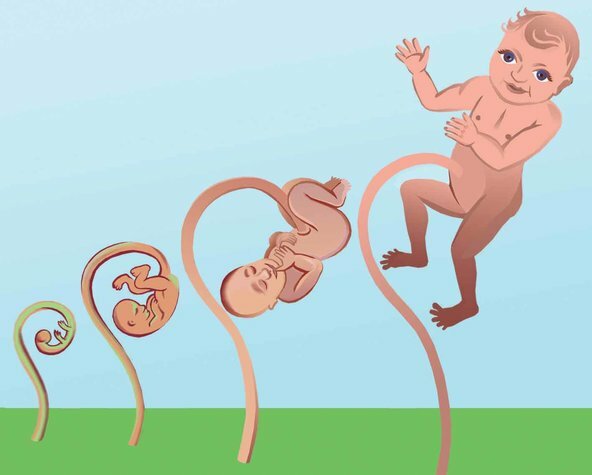 “Each week of gestation up to 39 weeks is important for a fetus to fully develop before delivery and have a healthy start.”During the last weeks of pregnancy, from week 37 to 40, a baby’s lungs and brain fully mature, and babies born full-term by the new definition have, on average, the best health outcomes. Dr. Ecker, among other experts, advocates patience: observing mother and fetus weekly, and allowing nature to take its course when there is no reason to intervene. If it is important to schedule a C-section or to induce labor in an otherwise healthy pregnancy, “after 39 weeks is appropriate,” he said. Of course, there are many situations in which a planned delivery of a baby before 39 weeks gestation is medically desirable and possibly even lifesaving. One common circumstance is a twin pregnancy, which is now often delivered at 38 weeks. Studies have suggested that, on average, twins fair less well when the pregnancy is allowed to continue to full term. Other conditions that can warrant delivery earlier than full term include placental abnormalities, a prior C-section that cut through the muscular wall of the uterus, an inadequate amount of amniotic fluid, fetal growth restriction, premature rupture of the membranes enclosing the fetus and, in the mother, pre-eclampsia and poorly controlled hypertension or diabetes. In the case of fetal growth restriction, among others, a decision to deliver a baby early should be made on a “case-by-case” basis, after thoroughly weighing the risks and benefits, Dr. Ecker said. “If everything is going well with mom and baby, a delivery before 39 weeks is not justified,” said Dr. Catherine Y. Spong, a maternal-fetal specialist at the National Institutes of Health whose studies have largely informed the new definitions of term pregnancy. In a study of 28,867 women who had a scheduled repeat C-section, Dr. Spong and her colleagues assessed the chances of an adverse outcome for the baby as related to the length of gestation. The earlier the delivery occurred, they found, the greater the baby’s risk of developing respiratory problems, being admitted to the neonatal intensive care unit, needing cardiopulmonary resuscitation or mechanical ventilation, developing a body-wide infection, experiencing low blood sugar or requiring prolonged hospitalization. Effects of a birth earlier than full term can be lifelong. A Finnish study published in the October issue of Pediatrics that followed nearly 9,000 men and women born between 1934 and 1944 found that, compared with those born at term, those born between 34 and 36 weeks of gestation were less well educated, had lower incomes and lower occupations than their fathers. In an interview, Dr. Spong also outlined the mother’s risks in delivering a baby early. Induced labor may not work and can be very long; the mother’s risks of infection and postpartum hemorrhage are greater, and hospitalization can be prolonged. Although a cesarean section is “very safe over all,” she said, it nonetheless poses a greater risk of excessive bleeding, infection, anesthetic complications and damage to internal organs.